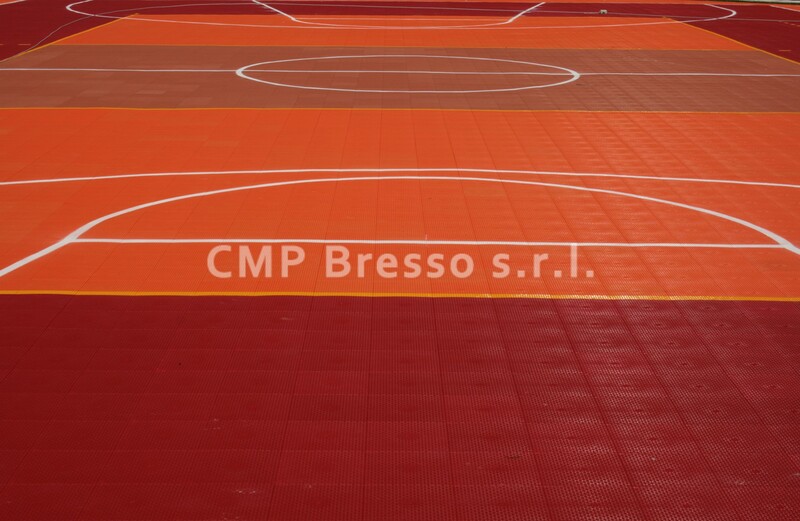 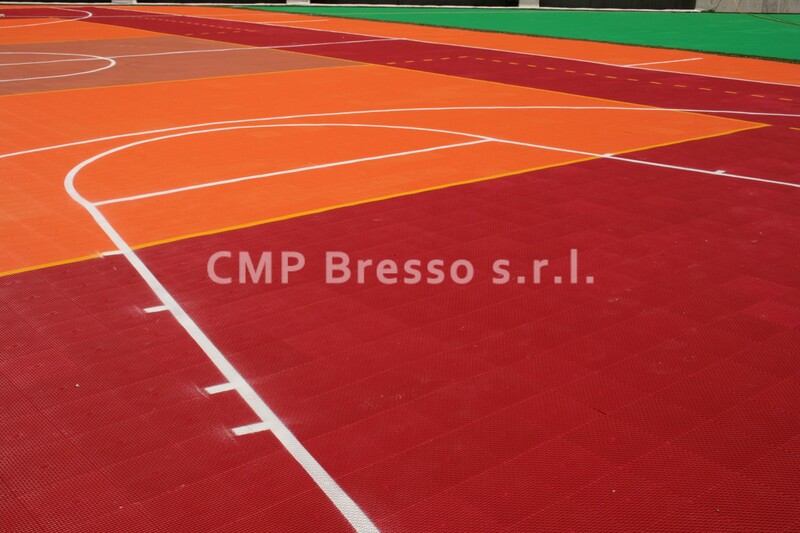 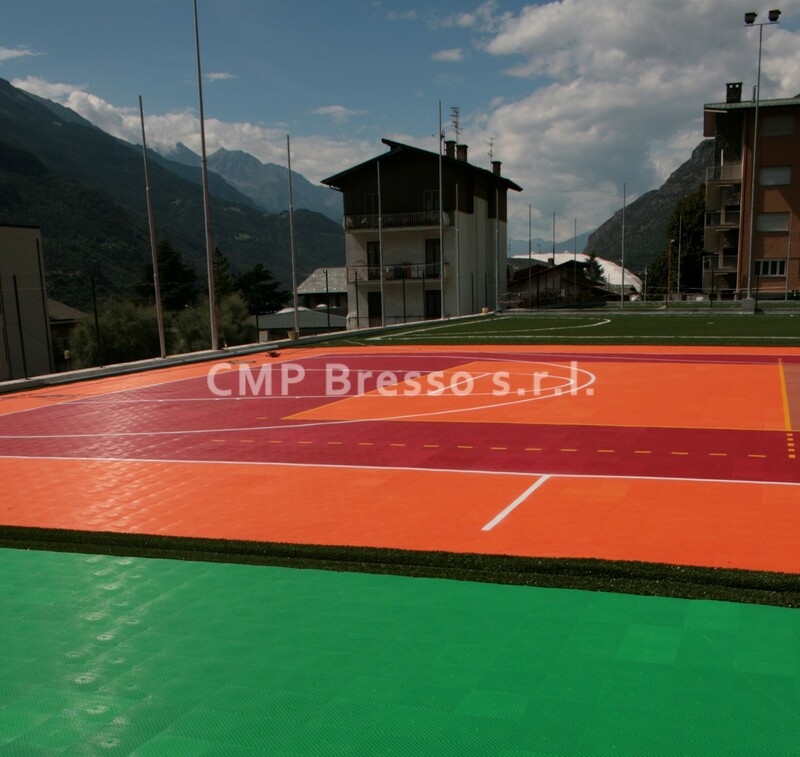 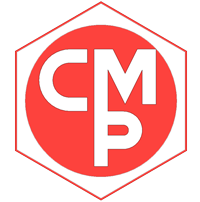 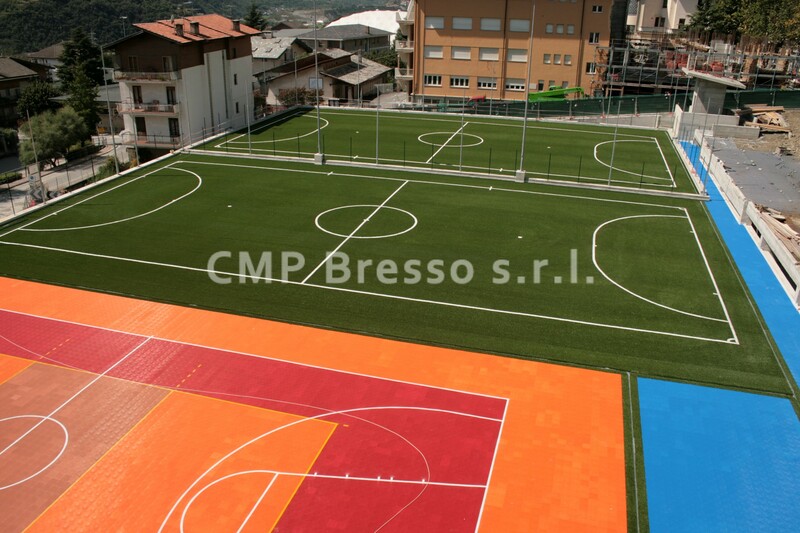 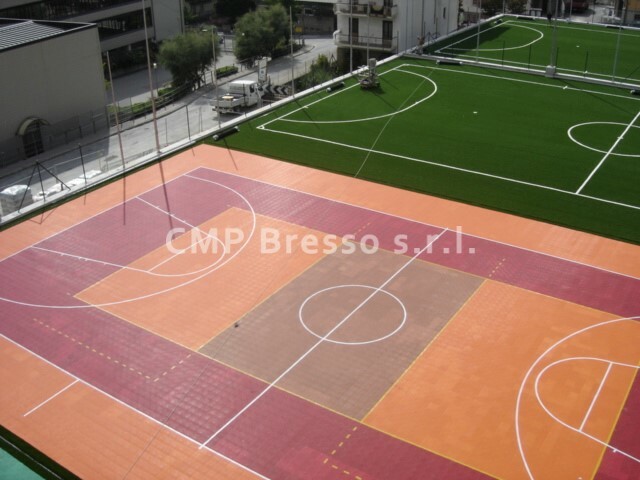 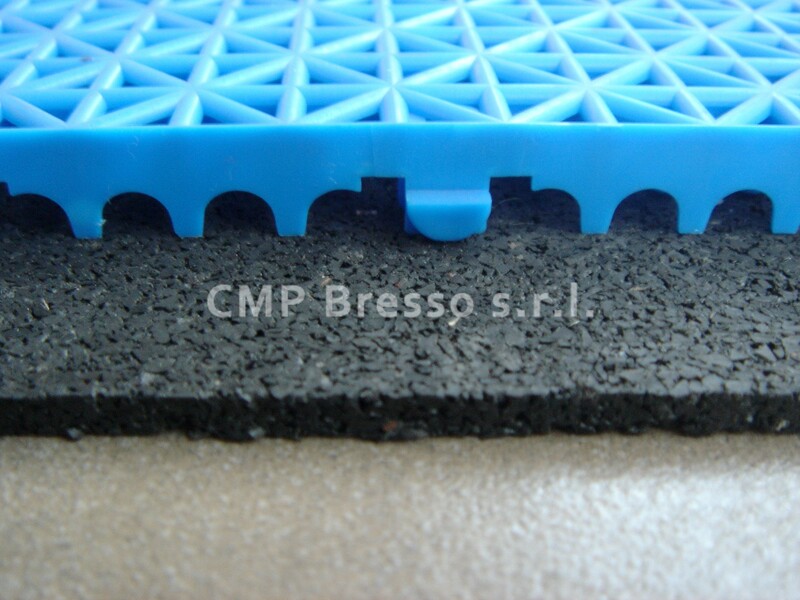 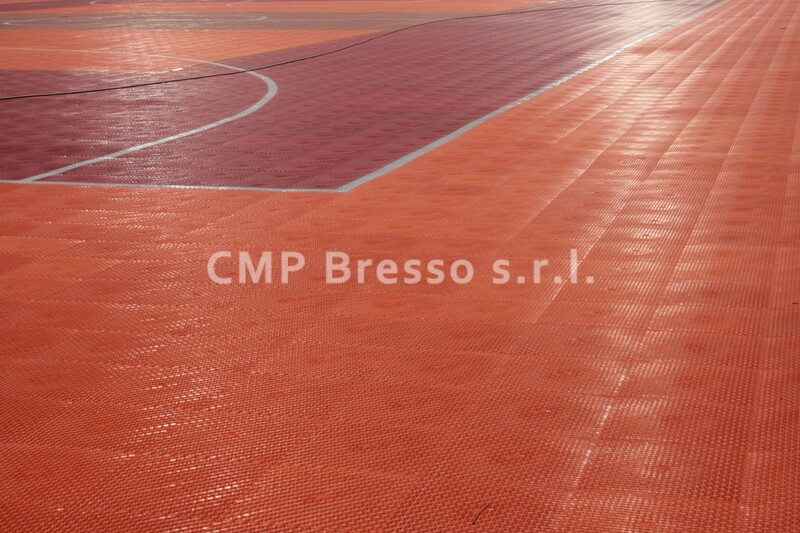 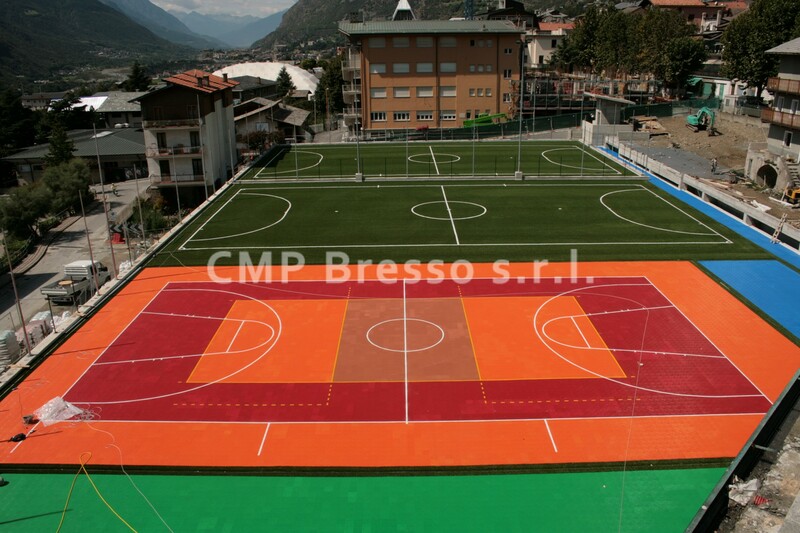 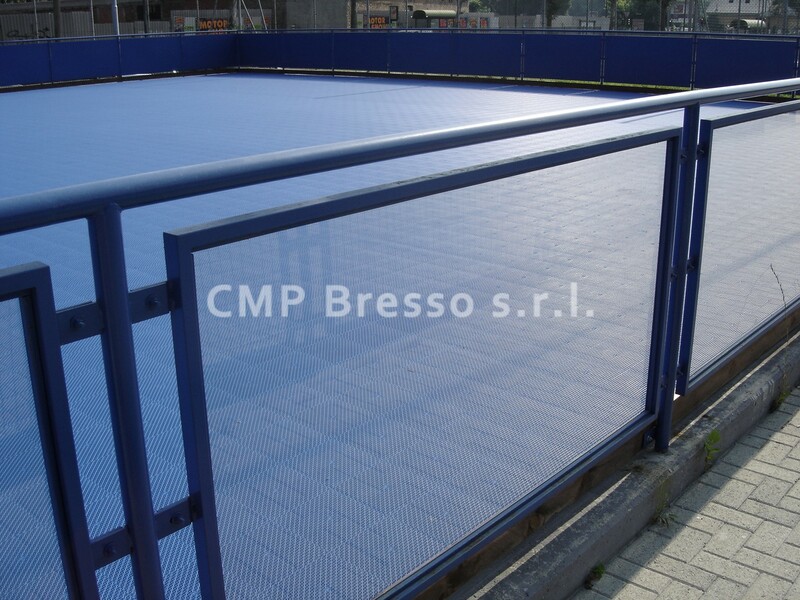 Gimmy – the sport flooring | CMP Bresso s.r.l. 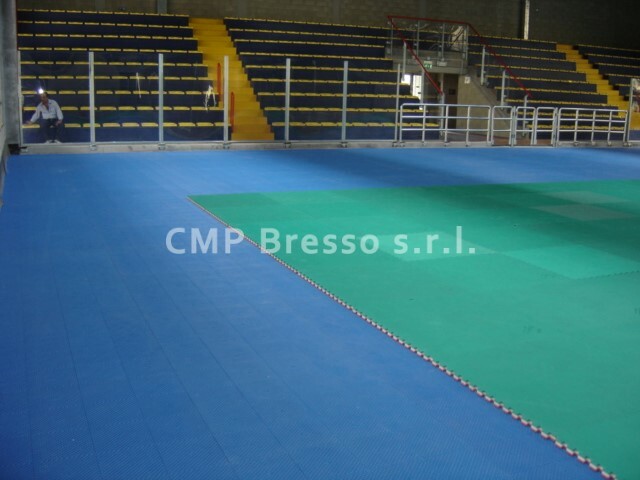 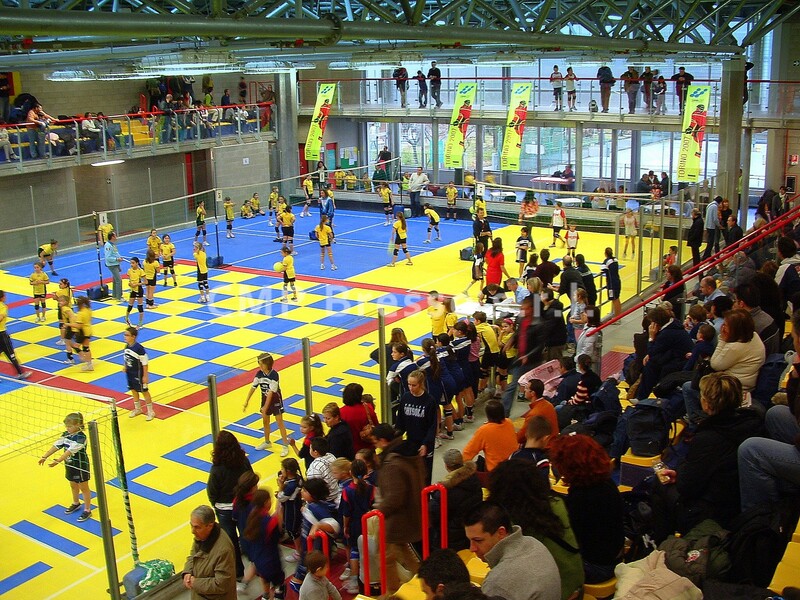 Sport flooring Gimmy is a suspended synthetic modular interlocking tile system, produced with a special high impact polypropylene copolymer, non-toxic, anti-bacteria. 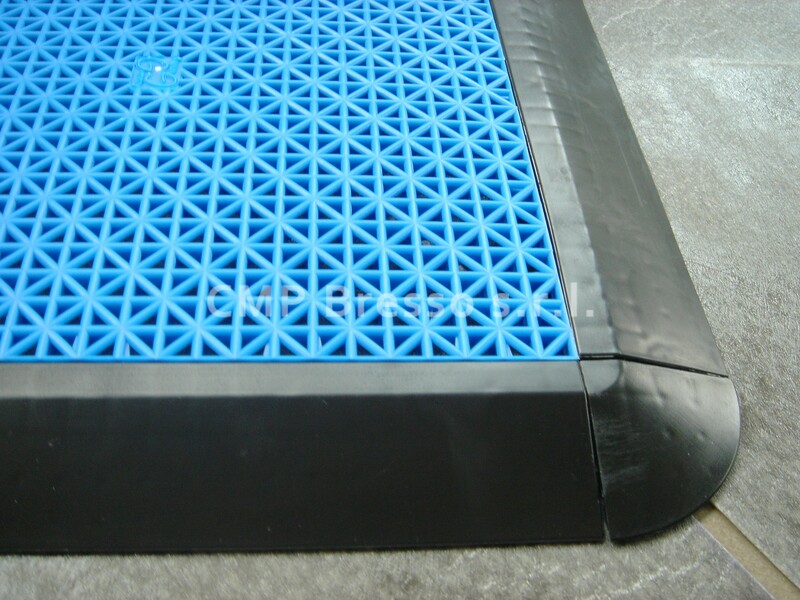 It can be installed on any flat concrete substrate. 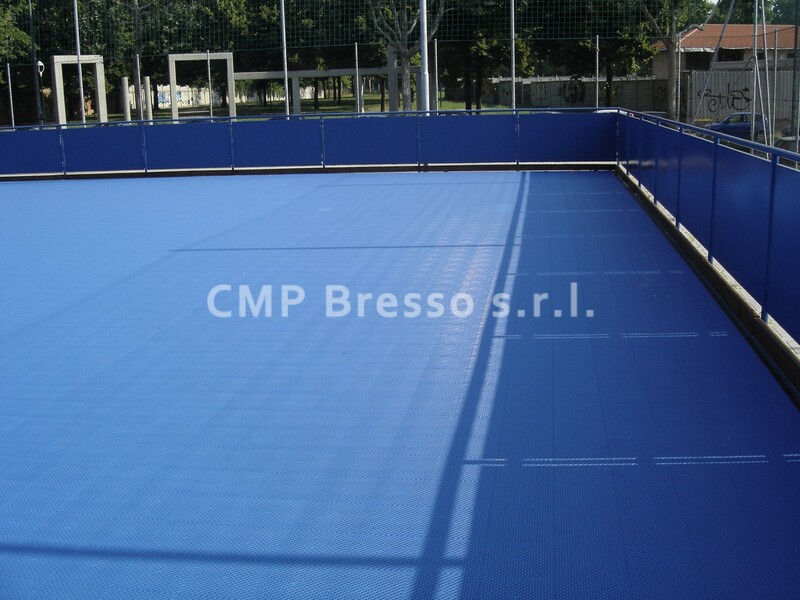 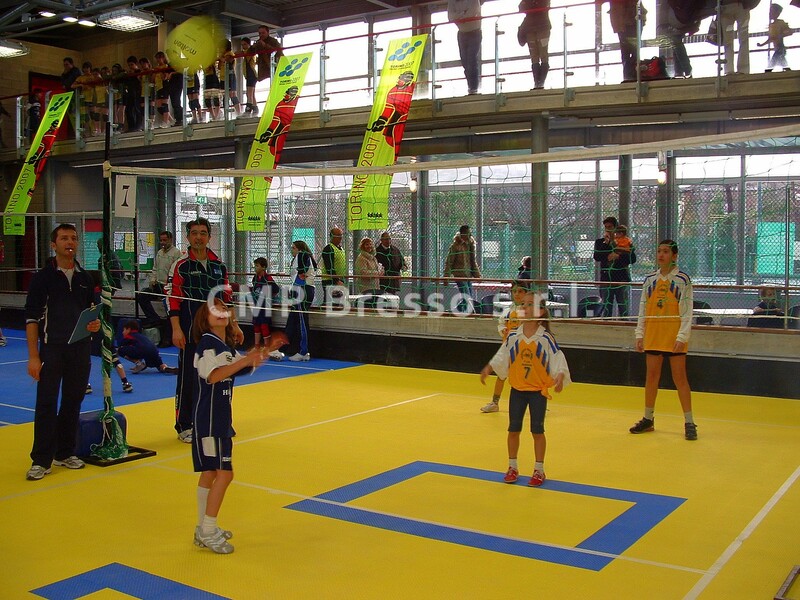 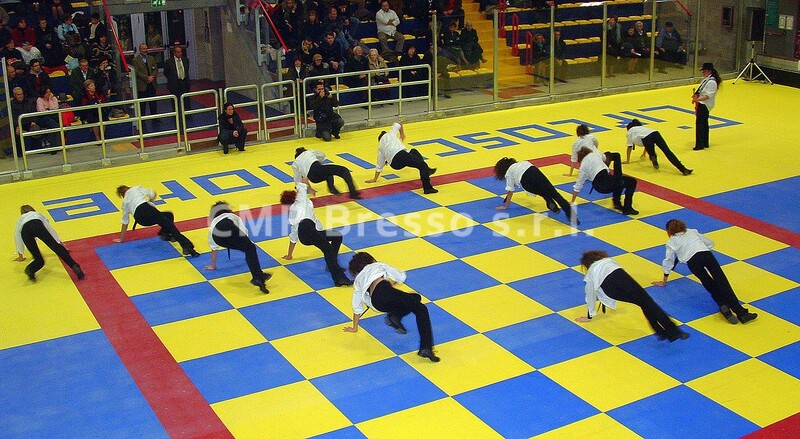 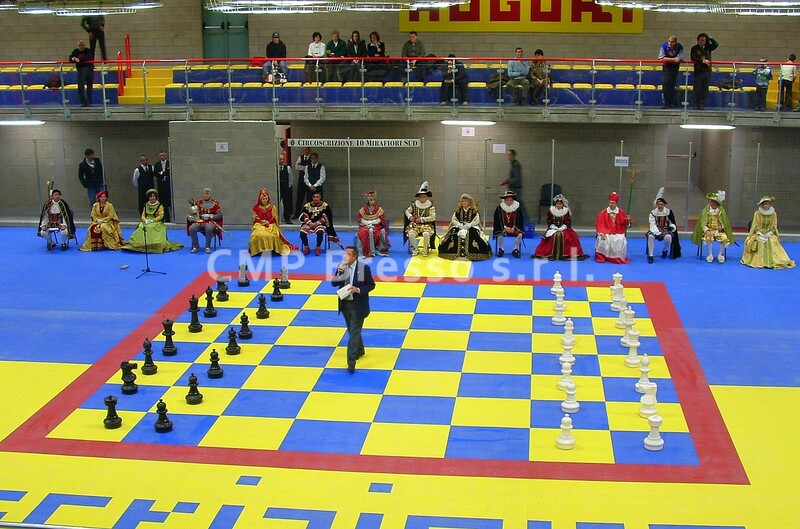 -Multipurpose sport flooring: ideal for 5 or side soccer, basket, volleyball, roller hockey, skate in line and it is usable in schools, universities, parks and recreational centers, fitness centers, sporting centers, etc. 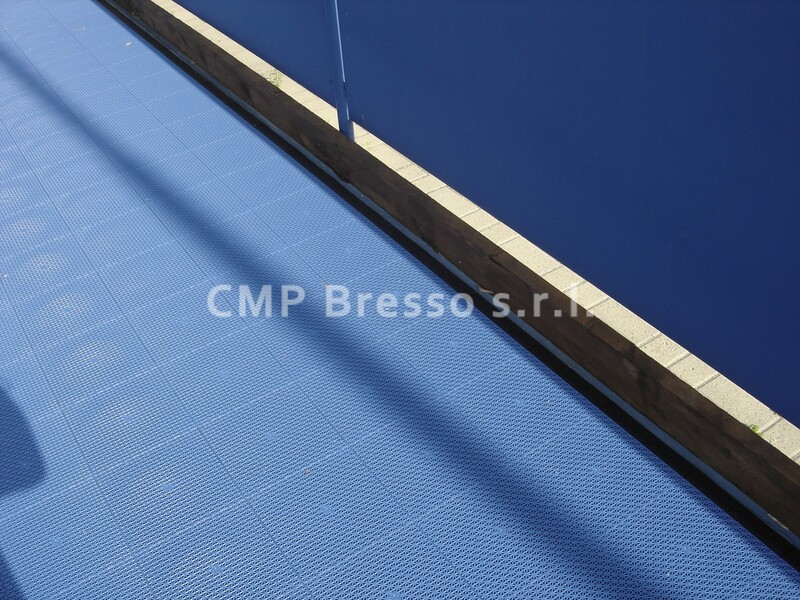 -Extremely easy to install: it doesn’t need to be glued to foundation, no need for adhesive: it doesn’t need qualified manpower and workmanship for the installation thanks to its interlocking system. 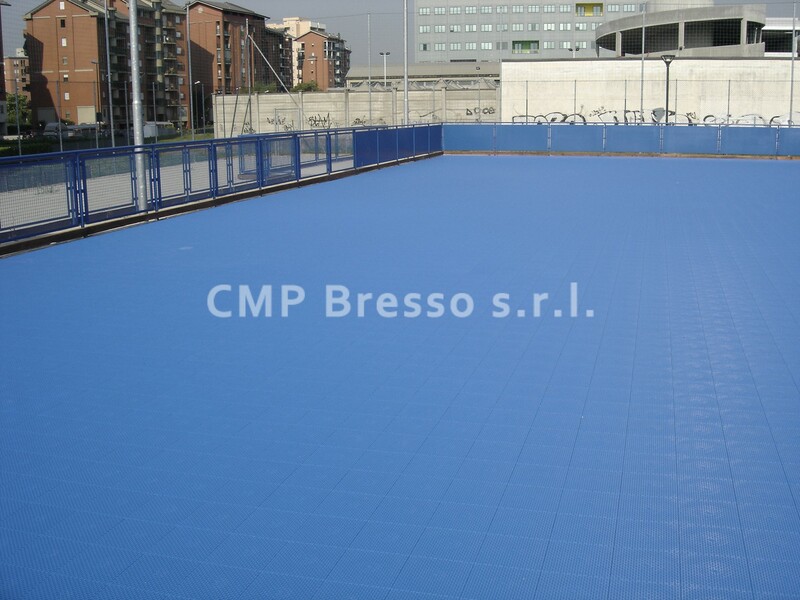 -Highly draining surface that allows dirty and water to pass through the holes permitting an immediate use after the rain. 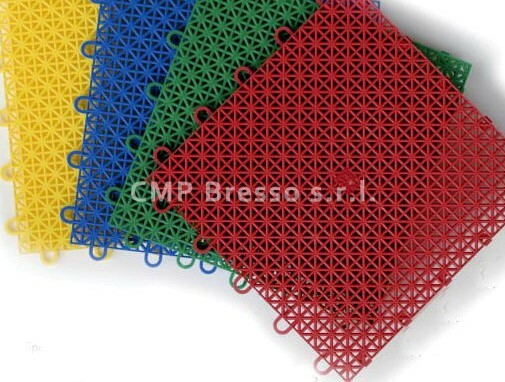 -Wide range of colors, available also on request.